The street festival will take place within the boundaries of Adam Clayton Powell Boulevard (7th Avenue) and Frederick Douglass Boulevard (Eighth Avenue) on 116 street on July 16th in the year 2016 between the hours of 10am – 7pm. DAKAR, Senegal — One robot slammed into some blocks and nearly fell to the floor. Another sideswiped a wall. Yet another spun in dizzying circles. So when the robot built by students from an all­girls school finally navigated the twists of the maze — flawlessly rounding every corner and touching every required flag — the crowd went nuts. The girls were among students from 25 schools who gathered in Dakar to compete in the second annual Pan­African Robotics Competition. For five days, in a city where horse and cart are still a fixture on the many unpaved roads, boys and girls from sixth grade to high school hunched over laptops and tablets at a camp, entering code to guide their small blue robots through a labyrinth meant to test their skills in a competition on the final day. The event was organized by Sidy Ndao, a Senegalese­born engineering professor at the University of Nebraska­Lincoln, who is on a mission to help further science, technology, engineering and math education, known as STEM skills, in West Africa. speech delivered by many economists and business leaders. They stress that improving these skills will help the United States create more jobs, compete better globally and increase its economic growth. The same is true for Senegal and across West Africa, Dr. Ndao said, where incorporating STEM education can help set a course to improve everything from sanitation systems to agriculture and can create jobs in a place with soaring unemployment. “There’s a lot of work to be done here,” said Dr. Ndao, 33. It is not that schools in the region don’t emphasize math and science already. The all­girls school at the competition, the Mariama Bâ de Gorée School, is known as one of the best math schools in Senegal. Though some schools outside Dakar, the capital, do not even have electricity, many private schools in the city have computer labs, math and science clubs and offer more technology courses than in the past. But Dr. Ndao said the schools sometimes emphasized rote memorization rather than focusing on contextual learning. Students do not connect theories they learn with practical experiences, he argued. Dr. Ndao went to school in Senegal until his teenage years, struggling through elementary school. But something clicked in junior high, and he decided math was his thing. Dr. Ndao’s parents wanted a better education for him, so he went to New York, where he lived with a relative and enrolled in high school. Dr. Ndao said he had quickly risen to the top of his high school class there, and received a scholarship to City College of New York, where he studied mechanical engineering. But there was a catch, he said: He was in the United States illegally. “People wanted to hire me, but I didn’t have any papers,” he said. Dr. Ndao is an author of a paper titled “Near­Field Heat Transfer Enabled Nanothermomechanical Memory and Logic Devices.” But when he first got out of college, he went to work sweeping the aisles of a 99­cent store in the Bronx. Eventually, he entered a master’s degree program at City College, then went on to complete doctorate and postdoctoral work at New York’s Rensselaer Polytechnic Institute and the Massachusetts Institute of Technology. His documentation issue was resolved when he married an American citizen, he said, adding that he has a green card now. At the University of Nebraska, Dr. Ndao, a fan of nanotechnology, has focused on very small things and how they transfer heat. He is researching how heat, instead of electricity, can be used for computations in space exploration. Having settled into a tenure­track position in Lincoln, where he lives with his wife and five children, Dr. Ndao now wants to help West African children understand how math and science can improve their country. He persuaded the University of Nebraska to help sponsor the robotics event. In Senegal, entrepreneurs and government officials are embracing the idea of improving STEM education. A technology hub under construction in a new city being built outside Dakar will contain training and research facilities. Coding clubs for girls and women are popping up in the country and across the region. But there are challenges. Internet access in expensive, and schools in some areas do not have electricity. Dr. Ndao’s camp and competition are still a work in progress. Despite its Pan­African title, the schools that sent students this year to the Dakar event were all from Senegal, something that Dr. Ndao hopes will change. His event aimed to tie together the farming societies of Nebraska, known for its corn, and Senegal, known for its peanuts. On some American farms, satellite ­controlled, driverless tractors are being tested to help make farmers’ work more efficient. In parts of Senegal, farmers can be seen bending over fields carved by a horse­drawn plow. “We can change our future if we learn more about technology,” said Joanna Kengmeni, one of the students at the camp. At the camp, students built robots from a kit, learned to program them and then created models of farms of the future that incorporated uses for their robots. One team created a robot with a fan that could cool crops in desertlike heat, or at least monitor temperatures, students said. Another team planned to use its robot for weed removal. Another student at the camp, Arame Coumba Dieng, who was dressed in a head scarf and pink uniform, said she had taken to coding immediately. Ms. Dieng’s parents had religious schooling, but they did not go to a traditional school to learn math and science. So they sent her from their village to Dakar to study at the Lycée de Thiaroye. One administrator there described her as Miss Mathematics. “I love math,” she said. Ms. Dieng said she was not sure how she would reach her goal of becoming an engineer. She needs to balance her dreams with returning to her home village after graduation to help her parents, who have trouble making enough money to survive. 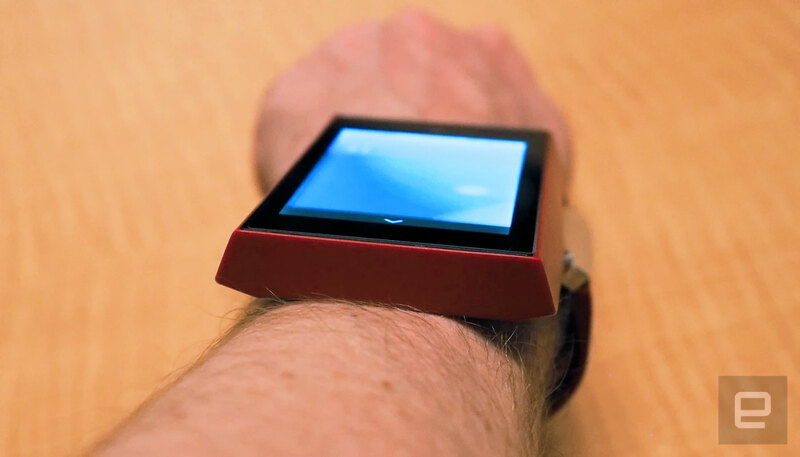 Forget smartwatches. The Rufus Cuff is big enough to also replace your phone. There’s no way I would wear the Rufus Cuff wrist computer. After a few minutes with this 3.2-inch Android tablet strapped to my body, my wrist started to get all sweaty. It felt bulky, weird and to be honest, not very cool. But if the massive pre-orders are any indication, there is clearly a market out there. In particular, says the company’s CEO, Gabe Grifoni, in a few years something like the Cuff will replace the iPhone in your pocket and even be part of your next work uniform. I’ll admit, I was initially dubious that a device that makes me feel like a less-cooler version of Leela from Futurama will be the first step of an inevitable wearable-computer revolution. But then Grifoni began telling me about potential industrial uses for the Cuff and it all started to make sense. Employers believe that small Bluetooth-enabled Android tablets on their employees’ arms are a pretty good idea, according to feedback from the companies that have reached out to Rufus. With an app and a connected scanner, tasks like inventory, housekeeping at hotels and ticket-taking can be streamlined by freeing up the hands of the employees who would otherwise have to hold a tablet. The relatively low $300 price tag also means that smaller companies without the deep pockets of corporations could also get in on the action. After a successful crowdfunding campaign, Grifoni started getting unexpected calls from businesses and their employees. “We were starting to get all these emails from warehouse workers and hotels.” he told Engadget. He says he’s talked to UPS and other companies about their employees using the Cuff in the workplace. While the campaign generated $800,000 in pre-orders, Grifoni realized that enterprise is where all the growth is right now. But don’t worry, early adopters, the company will still sell the Cuff to consumers. Just beware that you’re not going to be rocking the latest generation of technology. Specifically, the pre-production unit I tried out had a 400×240 3.2-inch screen, which will look absolutely ancient next to your modern-day smartphone. Also, the 640×480 front-facing camera is guaranteed to make all your selfies look awful. The actual bracelet portion of the device looks fine, though, and at least kept the Cuff mostly parallel with my arm. That said, while I would probably get used to having a computer on my wrist all day, it’s not something I’d look forward to. Did I mention it made my arm sweaty? Grifoni predicts that wearable computers (not smartwatches) will be the norm in five to 10 years. We’ll get tired of pulling our phones out of our pockets and instead opt to have them visible at all times. Maybe he’s right. 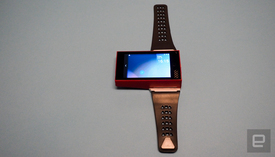 It’s possible the future of mobile computing could be attached to our bodies. But even if he’s wrong, if he can get the Cuff into businesses and warehouses, it doesn’t really matter if the world’s population embraces tablets on their bodies in their free time because at work, some of us will get them with our nametags. We are Happy to Announce the support of Go Caribbean Inc. for the The upcoming Go Africa Harlem 2016 Street Festival to be Held on 7/16/2016. Go Caribbean Inc. A cultural, professional and policy platform that is focused on African and Caribbean based initiatives for groups and global diaspora populations from or related to African and the Caribbean basin. Go Caribbean Inc, a U.S. based non-profit) endeavors to advance the awareness and soci-economic development of Africa and the Caribbean through local and international outreach initiatives via the following methods and vehicles. Direct intervention for training, education, health, and wellness initiatives that are linked to employment in order to facilitate growth, development and progressive self-sustainment of the targeted populous. Promotion of trade-centric events, forums, meetings, and fairs via public-private partnerships and governmental collaboration to drive trade via import/exports for countries in Africa and Caribbean. Assimilation, processing and analysis of information that facilitates communication and information sharing for African and Caribbean communities in the context of progressive soci-economic development. Promote and develop initiatives, and programs for training, education, health, and wellness initiatives that are linked to employment in order to facilitate growth, development and progressive self-sustainment of the targeted populous via public-private partnerships and governmental collaboration. Development of information portals and blogs that facilitates progressive communication and dialogue in the sphere of soci-economic development in Africa. Development of regional content that promotes progressive economic development in Africa and the Caribbean. Fostering and development of governmental relationships and partnerships that lead toward long-term progressive soci-economic development in Africa and the Caribbean. We welcome any input and suggestions that may aid in the accomplishment of the aforementioned objectives. The African Development Bank’s (AfDB) Annual Meeting in Lusaka got its official start on its second day and confirmed the principle that big personalities mean big waiting around. The marquee at the convention centre was filled to capacity as a group in a nearby hall waited an hour and twenty minutes for the heads of state due to launch the ceremony to arrive. The sitting around was punctuated by wailing sirens as official convoys belatedly showed up. A group of African leaders – including Chad’s President Idriss Déby, Nigeria’s vice-president Yemi Osinbajo and host Zambia’s President Edgar Lungu – followed with a roundtable about energy and climate change. They reached a consensus that while preserving the environment is important, governments must develop electricity production with the resources that are on hand, be they coal, peat or uranium. The moderator tried to hold those leaders to account and challenge them on what they are doing about the lack of electricity in their respective countries. While there where banners of Zambia state electricity utility ZESCO – with the motto ‘Powering the Nation’ – that lined the road to the AfDB conference site, President Lungu was left explaining why a drought has lead to “severe power rationing” that is hurting industrial activity and leading people to invest in expensive and polluting technology, like diesel generators. The AfDB approved finance of $70m for the rehabilitation of the Zambia and Zimbabwe’s crumbing Kariba Dam in late 2014, highlighting the lack of regular spending to improve the electricity infrastructure. So now there are other ads competing with ZESCO’s advertising. Some of Stanbic Bank’s Lusaka billboards offer loans of up to 100% for generators to fight load shedding. Agriculture and youth were other major themes of the day, and one moment broke through the talk of challenges and struggles. Adesina invited Sierra Leonean Kelvin Doe – who at 13 built his own radio station out of electronics waste and was then invited to an academic programme at the prestigious Massachusetts Institute of Technology – to the stage to congratulate him on his ingenuity. With tears in his eyes, Doe shook hands with the line of presidents and other leaders, eliciting ahs and applause from the audience. However, at a later session on youth and appointment, Doe stood up to point out that there were very few young people at the meeting and to ask the assembled gray-haired leaders to engage with those who are not as big as them. Submissions for the MTN Business SA App of the Year Awards 2016, the biggest and most prestigious app development awards, are now open. Descriptions of the categories, entry fees, and the entry form are all available onwww.appoftheyear.co.za. The deadline for entries is Thursday 2 June, 2016. 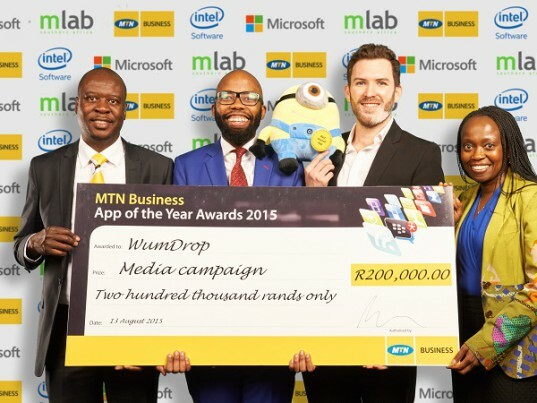 MTN named Wumdrop as the winner of the MTN App Awards for 2015. The App of the Year Awards is a springboard for creative developers and their original solutions. Previous winners of the awards have gone on to launch their apps internationally, been acquired by blue chip corporates, or become well-known and loved South African digital products in their own right. Previous winners and categories winners include SnapScan, Wumdrop, FNB Banking, Money4Jam, Zapper, Vula Mobile, and PriceCheck. “At MTN Business we believe in the excellence, skill, and talent of the local digital industry, and the App of the Year Awards is one of many ways that we use to support and celebrate the pioneers and practitioners in what they strive to achieve,” says Mangale. Award participants benefit from the rigorous judging process through receiving constructive input from industry experts that in turn helps them to refine their pitch. In addition, participants receive extensive media coverage exposure from the event, as well as a networking opportunity and potentially taking home some fantastic prizes. Ultimately, the judges will crown the overall MTN Business App of the Year from entrants of the above categories. Descriptions of the categories, entry fees, and the entry form are all available onwww.appoftheyear.co.za. The deadline for entries is Thursday 2 June, 2016. The MTN Business App of the Year Awards ceremony will take place at the Sandton Convention Centre on 4 August, 2016. Join the conversation by following and using #MTNAppAwards. Nigerian mobile operator Ntel has revealed a new mobile data offer for its customers. The company revealed that the latest offer will provide Nigerian consumers with unlimited data, for a period of 3 months. Under the terms of the Smart Phone data weekly and Smart Phone data monthly offers, subscribers who pay NGN 3,000 or NGN 10,000 for either a weekly or one-month bundle will enjoy unlimited data for three months so long as they recharge. In addition to the data offering, the company also unveiled the opening of new outlets in Abuja. The new outlets are expected to serve as SIM redemption and purchase points for Abuja residents as the company continues to spread its coverage in the capital city. This is according to TelecomPaper. Alcated has brought two new cost-conscious mobile devices to the African market, the Alcatel Pop Star and the Alcatel Go Play. According to the company, the Alcatel Pop Star will be set to sell at a recommended retail price of R2299 (USD $140 dependent on exchange rate)… While the Alcatel Go Play, which is a more rugged and solid device, will also enter the market at a recommened retail price of R3499 (USD $220 dependent on exchange rate). 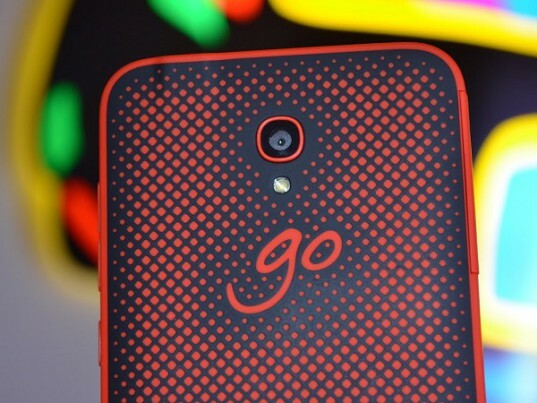 Alcatel brings cost-conscious devices to Africa. (Image Source: i.ytimg.com). When taking a look at the devices, we found that the Alcatel Pop Star features a 5-inch HD display with IPS technology for wide viewing angles and detailed images. The Alcatel Pop Star also features 3G+ connectivity and runs on a Quad-core processor. To add to the specs, the device also features an 8 Mega-Pixel rear camera and a 5 Mega-Pixel front camera. What’s more, the Pop Star has a QR code on the battery cover that gives users access to the Wallpaper Store app, which offers users the ability to personalise their smartphone to match one of the two interchangeable back covers, which are available in Denim and Wood. When taking a closer look at the more rugged Alcatel Go Play, Alcatel revealed that the device is essentially dust as well as shock resistant (up to 1.5 metres). To add to the features it is also water-resistant; however, this is limited up to 1 metre and the device can be submerged for up to 30-minutes. As it is a water-resistant device, Alcatel has included an 8 Mega-Pixel rear camera for underwater photography and video recording. In addition to the rear-facing camera, the Alcatel Go Play features a 5 Mega-Pixel front facing camera. The Go Play device, according to the company, allows for 20 days of standby time, 8.5 hours of talk time and 40 hours music playback thanks to the powerful 2500 mAH battery. According to Witmann, the devices are now available in South Africa, Kenya, and Nigeria. 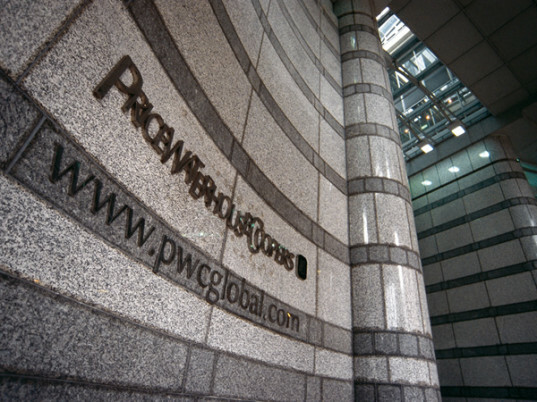 Africa remains one of the preferred frontiers for investment opportunities and doing business, according to a report released by PwC Africa. Growth and foreign direct investment has continued in Africa amid the recent global economic uncertainty. This is confirmed by PwC’s Africa Business Agenda survey, which shows that Africa and the emerging markets remain a vital growth opportunity for CEOs. The Africa Business Agenda compiles results from 153 CEOs and includes insights from business and public sector leaders from across Africa. Hein Boegman, CEO for PwC Africa, says: “CEOs in Africa are ramping up their efforts to innovate and find new ways to do business on the continent in a move to stimulate growth in a challenging and uncertain global business environment. “The global financial and economic crisis has revealed Africa’s vulnerability to a number of external economic shocks. These include the decline in commodity prices fueled by the economic slowdown in China; a marked decline in the demand for commodities; and the collapse in value of the emerging market currencies against the US-dollar in anticipation of an interest rate hike. Africa’s CEOs are critically aware of these issues and the impact they may on their businesses. CEOs believe global economic growth is unlikely to improve and will stay the same in the short and mid-term; nonetheless they remain confident that there are opportunities for growth over the next 12 months (78%), and 9 out of 10 believe they can deliver growth in the next three years. The global business environment has become increasingly complex and challenging. The report shows that CEOs in Africa share many of the same concerns with their peers globally. The top three concerns include exchange rate volatility (92%), government response to fiscal deficit and debt burden (90%) and social instability (80%). CEOs in South Africa have similar concerns as their counterparts on the continent, with the report showing that there are uncertainties about government response to fiscal deficit and debt burden, social instability, and high unemployment or underemployment. Across the continent, shifting demographics, rapid urbanisation, rising disposable income and technological change are all influencing growth opportunities and strategies. Africa’s CEOs rank technological advances (75%), demographic shifts (52%) and a shift in global economic power (58%) as the top three defining trends that will transform their businesses over the next five years. In addition, new advancements and breakthroughs in frontiers of R&D are opening up more opportunities for businesses. Our survey of CEOs reveals four common priorities among Africa’s business leaders: diversification and innovation; addressing greater stakeholder expectations; effectively leveraging growth catalysts like technology, innovation and talent; and measuring and communicating shared prosperity. In Africa, the environment is constantly changing and the growth opportunities are unparalleled. 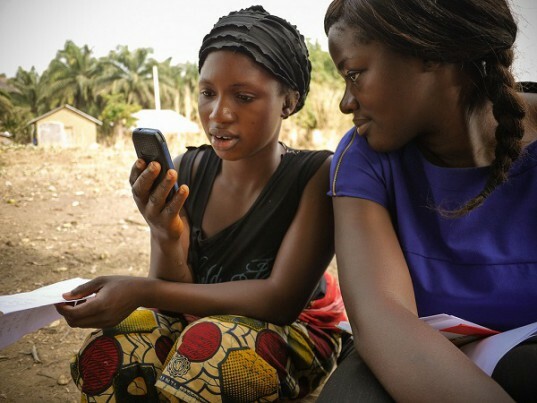 After more than a decade of urbanisation, Africa is poised for a digital revolution. Increasingly, organisations are using technology to challenge business models and disrupt competitors in markets. Technology was seen by CEOs in the survey as the best way of assessing and delivering on customer expectations by implementing customer relationship management systems (69%), interpreting the complex and evolving needs of customers through data and analytics (56%), and improving communication and engagement by means of social media (58%). Corporate governance has also brought IT to the fore. In South Africa, the draft King IV report recognises that information technology (IT) has become an integral part of doing business today. Going forward, CEOs in Africa indicated that they will be more actively looking for partners, while keeping an eye on costs. Partnerships and alliances feature prominently in their plans, with more than half of Africa CEOs (56%) planning to enter into strategic alliances over the next 12 months. In addition, 16% say they intend carrying out cross-border merger and acquisition (M&A) activities in the next year. Looking at investment prospects, China (22%), Kenya (22%), Uganda (20%) and South Africa (18%) remain the countries Africa CEOs view as most important for growth in the next 12 months. While many organisations across the globe are expanding or seeking to expand in Africa, the availability of key skills stands out as a key concern for CEOs both in Africa and South Africa. More than half of Africa’s CEOs expect to increase their headcount over the next year. ‘The talent trends that we are seeing suggest that the market is becoming more and more competitive,” Boegman adds. As a result companies are having to review their talent management strategies. Around half plan to invest more in their leadership pipeline and focus on developing their institutional culture. Across Africa boardroom agendas are changing, with many additional focus areas being brought to the table. The corporate landscape continues to undergo constant change, with companies being confronted by shareholders and other institutional investors who demand explanations around financial reporting and performance. In the process business is encountering a range of challenges in responding to wider stakeholder expectations. These include: additional costs to doing business (62%), unclear or inconsistent standards or regulations (45%), and customers’ unwillingness to pay (35%). Dion Shango, CEO for PwC Southern Africa, says: “More successful companies tend to be collaborative and collective in their engagement with stakeholders. Business leaders need to have a business rationale for engaging and collaborating with stakeholders, while being acutely aware of the risks posed by not engaging with all relevant stakeholders. Trust is also emerging as an important differentiator in the business community. Building trust helps organisations to attract investment and build stakeholder loyalty. It is concerning to note that 65% of Africa CEOs are somewhat or extremely concerned about the lack of trust in business. Corruption is also seen as a major threat by businesses (86%). The private sector has taken the initiative to fight corruption by calling on government and regulators to enforce legislation and codes of business practice. It is positive to note that Africa CEOs are increasingly recognising the importance of reporting on non-financial matters. In addition, most Africa CEOs surveyed not only believe that success is dependent on more than just making money, they also believe that their organisatiions should do more to report on the broader impact of their activities and how these activities create value for stakeholders.